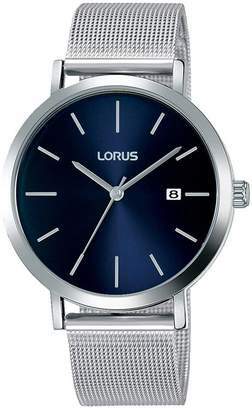 Lorus Lorus Blue Sunray Date Dial Stainless Steel Mesh Strap Mens Watch Lorus Men's sunray blue dial mesh bracelet watch. Date display. Silver baton hour markers and hands. Finished with a SS stainless steel mesh bracelet with easily adjustable slide clasp.